HONOLULU (HawaiiNewsNow) - North Korea's military on Wednesday called Donald Trump's threat to the rogue nation a "load of nonsense," and says only "absolute force can work on the president. Also Wednesday, the country re-issued its threat to launch an attack on Guam, pledging to send a "crucial warning" to the United States and saying planning for the missile strike would be complete by mid-August. 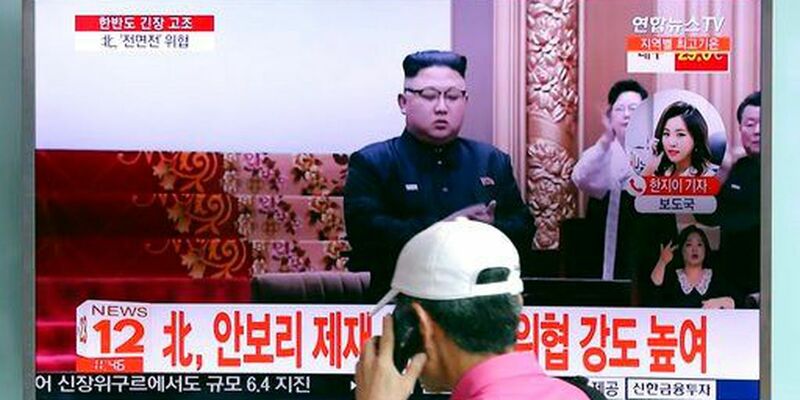 "Sound dialogue is not possible with such a guy bereft of reason and only absolute force can work on him," the statement run on North Korea's state-run TV said, referring to the president. The statement also said the country will "keep closely watching the speech and behavior of the U.S."
While the rhetoric between the United States and North Korea continues to escalate, Hawaii security experts say the threat to the islands remains low. Ralph Cossa, president of the Pacific Forum Center for Strategic and International Studies, said the president and North Korea may be engaged in a war of words — but it's still mostly a war of words. "This is hype," he said. "There's more fury than there is fire and I wouldn't be overly worried about it." On Tuesday, North Korea said it was "carefully examining" plans for launching a preemptive strike against Guam, hours after the Trump administration warned the nation to drop its threats against the United States or face "fire and fury." A statement from a spokesman for the Strategic Force of the Korean People's Army said it's studying a plan to create an "enveloping fire" around the U.S. territory, home to Andersen Air Force Base. North Korea also warned that recent U.S. military maneuvers — including an intercontinental ballistic missile test last week and a bomber flight on Monday — "may provoke a dangerous conflict." The threat came in the wake of strong words from President Trump, who warned North Korea that it would face "fire and fury" if it provokes the United States. The rising tensions with North Korea have spurred Hawaii to start preparing for the threat — however low — of a nuclear strike to the islands. Last month, the Hawaii Emergency Management Agency kicked off an educational campaign aimed at helping residents and visitors figure out what to do if the state is the target of a nuclear missile attack. As part of the new campaign, the state will also start testing a new "wailing" emergency siren on the first workday of the month. It would take 20 minutes for an ICBM to travel to Hawaii from North Korea, and some experts say the country appears to now have the capability to launch such a strike. The public would have eight to 12 minutes of notice before the attack started. Some in Congress called Trump's heated rhetoric dangerous Tuesday, and urged the administration to look for diplomatic solutions. "North Korea does not yet have the capability to hit any part of the United States with a nuclear ICBM, but their technological improvements are alarming and require a multi-pronged response," said U.S. Sen. Brian Schatz, D-Hawaii, in a statement. "We must engage in vigorous diplomacy and beef up our missile defenses. The president's statement was unwise in both tone and substance. There is no diplomatic or military advantage to using such overheated language. U.S. Sen. John McCain, R-Ariz., also took exception to Trump's comments, saying they were unlikely to deescalate the situation. "I don't know what he's saying and I've long ago given up trying to interpret what he says," McCain said, according to NBC. "That kind of rhetoric, I'm not sure how it helps." And U.S. Sen. Mazie Hirono, D-Hawaii, said "bluster and saber-rattling will only exacerbate" a difficult situation. "Our first priority must be to keep Hawaii and our country safe," she said, in a statement. "Deescalating tensions with North Korea will require sustained engagement and steady American leadership. At the same time, we must work toward a comprehensive and sustainable diplomatic solution in concert with our allies and other regional partners." U.S. Rep. Colleen Hanabusa, D-Hawaii, said in a live interview on Hawaii News Now she doesn't feel North Korea's threat is anything to be too concerned about in Hawaii. "I do not believe that Kim Jong-un would launch anything against any territory or jurisdiction of the United States," Hanabusa said. Trump's promised "fire and fury" statements were spurred by a new report that said U.S. intelligence officials believe North Korea has successfully produced a nuclear warhead that can fit inside missiles. In recent months, North Korea has tested several intercontinental missiles that experts say could reach Hawaii and the mainland. "North Korea had best not make any more threats to the United States. They will be met with fire and fury like the world has never seen," Trump said Tuesday, speaking at a conference in New Jersey. "He has been very threatening beyond a normal state. And as I said they will be met with fire, fury and frankly power the likes of which this world has never seen before." Denny Roy, a senior fellow at the East-West Center in Honolulu, who specializes in security issues in Asia, said North Korea has made big, provocative threats in the past — and Trump's statements aren't terribly surprising in context. "Part of the U.S. response to North Korea gaining this capability must be a reaffirmation that if the North Koreans use a nuclear weapon that they could expect devastating retaliation," he said. "We need to be accustomed to making this kind of statement more often." Japan's Defense Ministry concluded in an annual white paper released Tuesday that "it is possible that North Korea has achieved the miniaturization of nuclear weapons and has developed nuclear warheads." Japan, a key U.S. ally, is also a potential target of North Korean aggression. A report in The Washington Post on Tuesday went further. The newspaper said U.S. intelligence officials have assessed that a decade after North Korea's first nuclear test explosion, Pyongyang has produced nuclear weapons for ballistic missile delivery, including by intercontinental missiles — the type capable of reaching Hawaii or the continental United States. The Post story, citing unnamed U.S. intelligence officials, said the confidential analysis was completed last month by the U.S. Defense Intelligence Agency. The U.S. also calculated last month that North Korea has up to 60 nuclear weapons, the Post said. This weekend, the U.N. Security Council slapped its toughest sanctions yet on North Korea over its latest test of a ballistic missile that could be used to deliver a nuclear weapon. Despite the rapid tempo of these tests, uncertainty has lingered over the isolated nation's ability to couple such a missile with a nuclear device. Several Hawaii residents said the latest North Korea news has them concerned, but they also believed the threat remains small. "I do think a little bit they are empty threats," said Glennel Warren, "and I'm pretty sure that Trump doesn't have the answer for them." She added, "It could definitely happen, but I'm not living in fear." Kalani Cuaresma agreed, saying the two sides need to talk more -- and threaten less. "I think there's a little bit of fear, just knowing that this is hovering over us, all these threats," he said. "They need to open up the communication a little bit more instead of attacking each other verbally." Meanwhile, state agencies are raising awareness about the threat of a nuclear attack from North Korea, while stressing the threat remains small. On Wednesday, the state Health Department posted a guide to dealing with radiation emergencies on its Disease Outbreak Control Division's Facebook page. "Radiation emergencies can take some serious forms, from accidental release from a nuclear plant to detonation of a dirty bomb or a nuclear device," the post said. 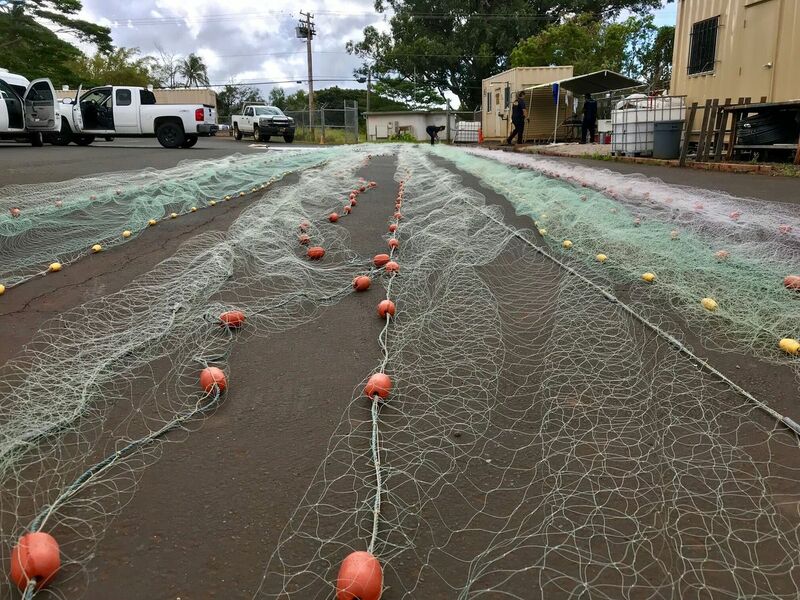 "Even though such incidents are very unlikely to happen in Hawaii, it is always good to know ahead of time what actions you should take to protect yourself, your loved ones and your pets."